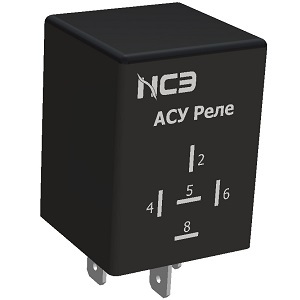 Are you looking for a compact and reliable solution for power supply? Are you looking for intelligent connecting solutions? 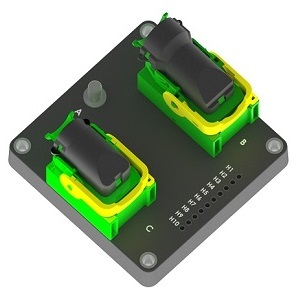 Are you looking for intelligent MINI type relay? Are you looking for intelligent panel or HMI solutions? Do you need to diagnose your application? Are you interested in new experience of diagnostic and programming? The central electrical unit is the main distribution box. It contains most of the fuses and relays as well as connectors of the harnesses. All components are vibration proof. They reliably ensure electrical contact during vibration and acceleration. 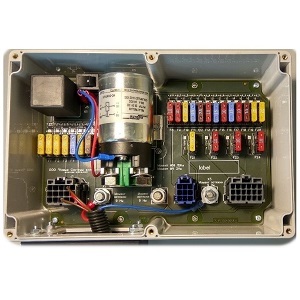 Controllers are digital electronic systems that controls one or more of the electrical systems or subsystems. Programmable memory allows user-oriented control statements to be stored and executed via the inputs and outputs. 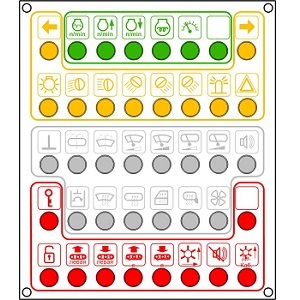 The touch panel is a user-friendly keyboard specifically designed for use in the commercial vehicle sector. Due the foil on the front window this module is resistant to liquids, oils, as well as dirt. The LED backlight and custom design allows to customize the application based on customer needs.